The first section, ‘Epidemiology’, introduces the fundamental principles and scientific basis behind work to improve the health of populations, including a new chapter on genetic epidemiology. Applying the current and best scientific evidence to treatment at both individual and population level is intrinsically linked to epidemiology and public health, and has been introduced in a brand new second section: ‘Evidence-based Medicine’ (EBM), with advice on how to incorporate EBM principles into your own practice. The third section, 'Public Health', introduces students to public health practice, including strategies and tools used to prevent disease, prolong life, reduce inequalities, and includes global health. 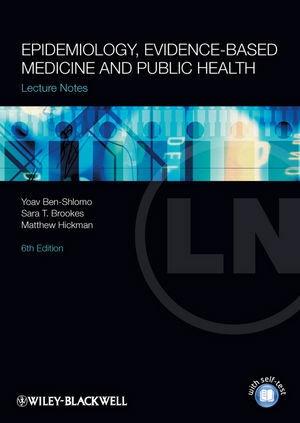 Whether approaching these topics for the first time, starting a special study module or placement, or looking for a quick-reference summary, this book offers medical students, junior doctors, and public health students an invaluable collection of theoretical and practical information.